Sentinel Times: When to Visit the Maldives? When to Visit the Maldives? One of the best aspects of travelling to the beautiful islands of the Maldives is that the weather is fantastic all year round. With that being said, there are certain times of the year that it's best to travel to this enchanting destination. The following will provide tips on the specific months and seasons where it's best to travel to the Maldives and why. The Maldives are a group of islands that can be found in the Indian Ocean near Asia. Each of the 26 pieces of land that you can travel to are surrounded by striking blue waters as far as the eye can see. When planning a trip to the Maldives for the holidays, it's important to understand the best time of the year to visit, so you can plan your vacation during peak conditions. When it comes to the Maldives, there are two basic seasons the islands go through, known as the dry monsoon and the wet monsoon seasons. The dry monsoon season lasts from December to March, while the wet monsoon season starts around May and ends in November, bringing with it gusty winds and heavy rains. April is a month that can be considered to be transitional and is one of the best times of the year to visit the Maldives with warm weather and just a bit of rain. 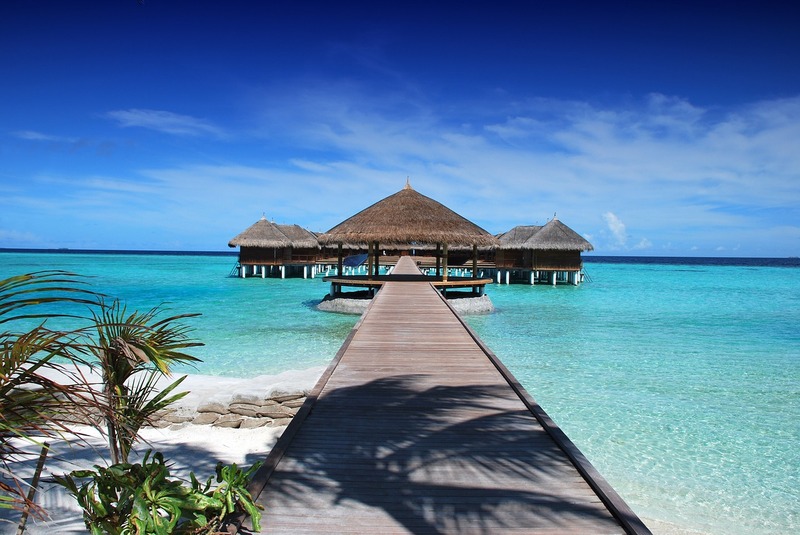 While it would seem like a good bet to choose to travel to the Maldives during the dry monsoon season as opposed to the wet monsoon months, there are advantages and disadvantages to both that you should take into account. First of all, visiting the Maldives during the dry monsoon season ensures that the sun is out and the humidity is low for the majority of the time. In fact, the temperatures are commonly around 85 degrees Fahrenheit. While these months are indeed the perfect time to visit the Maldives, it all depends on what you're looking for. The fact of the matter is that the dry monsoon months are when the hotels in the area are typically at full capacity, which also means that you will need to book early when planning your vacation. If you don't mind crowds and simply want to enjoy your time in the sun and on the beaches with very little rain to care about, then this is the time for you. If you don't mind rain and are more looking forward to enjoying the islands with relatively small crowds, then travelling during the wet monsoon season is probably right for you. It's the time of year that will deliver the most affordable prices. Scuba diving is perfect for these months. The surfing season that lasts from May to October is also a good time of the year to travel to the Maldives, as the waters are at their most accommodating for surfers within this span of time. Whenever you choose to travel to the Maldives, take comfort in knowing that there's really never a bad time to visit! Looking to travel to the Maldives, but not sure where to start? Get in touch with Alpha Maldives., the leading luxury tour operator in the Maldives who are experts on the Maldives and can help create your dream holiday!